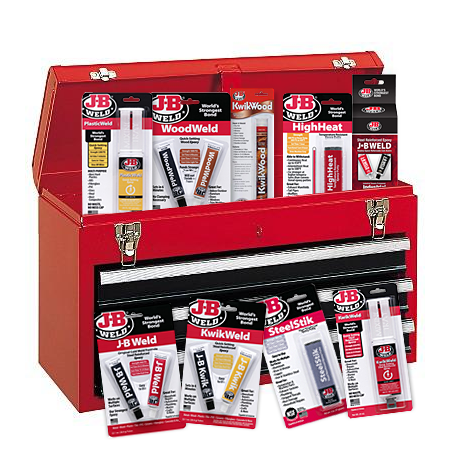 For more than 40 years, J-B Weld products have earned a loyal and enthusiastic following from avid DIY’ers and repair professionals alike, offering a range of simple and affordable solutions that help just about anyone to take on small and large repairs throughout the home. 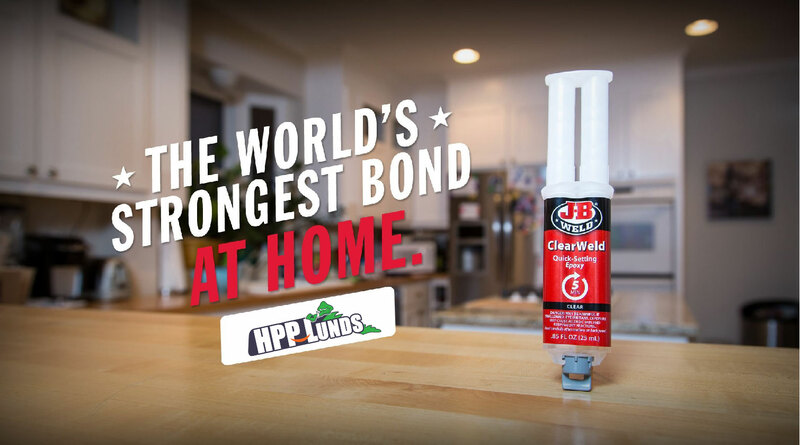 “J-B Weld’s original, two-part epoxy formula was developed as an alternative to traditional torch welding,” says HPP Lunds National Sales Manager, Lee Haywood. “Today, that same epoxy strength has been applied to over two dozen products, each customised to bond to a specific surface including steel, aluminum, SMC fiberglass, wood, plastic, glass, ceramic, carpet and more”. Products like ClearWeld and KwikWeld,dry in as little as five minutes and provide quick fixes to problems ranging from broken ceramics to metals and glass. ClearWeld, with a syringe applicator and no-mess cap, dries clear and is a popular standby for arts and crafts enthusiasts or home design professionals. No homeowner should be without SteelStik or WaterWeld in the toolbox. These two-part epoxy putty sticks can prove invaluable in a late night plumbing emergency, with their ability to plug and repair leaks in metal or PVC pipes. For the woodworking enthusiast, WoodWeld twin tubes and KwikWood putty stick provide unmatched strength for wood repairs of any kind. Around the home, WoodWeld is ideal for putting an end to loose chair and table legs by creating a permanent bond that wood glues can’t match. KwikWood putty can quickly and easily be worked in to stripped screw holes and re-tapped for door hinges. The packaging has also been updated and shows a strong presence on store displays to capture the trade and retail purchase. “Being the first Australian company to distribute the entire range of J-B Weld products in Australia, we hope to offer our customers even more solutions for saving money. Whether you’re repairing a leaky sink or looking for an economical way to get a few more years out of that older model lawn mower, we believe J-B Weld products will be well-received by Australian DIY audiences,” Mr Haywood said. For more information, visit theproducts section of www.jbweld.com or call HPP Lunds: (07) 3722 1111.